“Age Healthier Live Happier” is a welcomed response to many men and women looking to avoid over-medication and searching for a higher quality of life thanks to bio-identical hormone replacement balance (BHRT) using tiny pellets about the size of a grain of rice.” says Gary Donovitz M.D. The book outlines the many positive health factors that bio-identical hormone replacement pellet therapy provides. The book also explains dramatic changes in the lives of hormone optimized men and women, as well as the positive impact BHRT is making in the healthcare industry today. Tired of being overmedicated by drugs that reduce your quality of life? Concerned about medical illnesses that you are at risk for as you age? Ready to explore the life-saving benefits of bio-identical hormone optimization? Finally! Age Healthier, Live Happier shows you the path to the balanced life women and men are searching for! Reduce your use of antidepressants, diet pills, statins, pain medications, and synthetic hormones. Reverse the course of heart disease, diabetes, obesity, fibromyalgia, arthritis, and high cholesterol. Lower your risk for Alzheimer's disease breast cancer, osteoporosis and prostate cancer. Dr. Gary Donovitz is a board Certified Obstetrician-Gynecologist, who has compassionately cared for his patients for 30 years. He is a clinician, a pioneer, and an international teacher of bio-identical hormone replacement therapy. His passion for wellness and his company BioTE Medical is changing healthcare for us all. 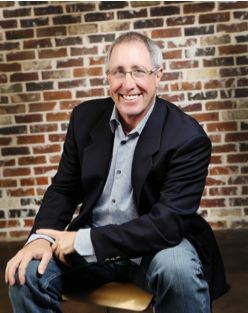 Book Publisher CelebrityPress Joins With Jack Canfield And Leading Experts For “Soul of Success"
Motivational Football Coach Jeff Young Hits Amazon Best-Seller List With “Power Principles v2"